Announced back at Photokina in September 2018, Fujifilm’s next-generation GFX medium-format camera is getting closer to becoming reality. 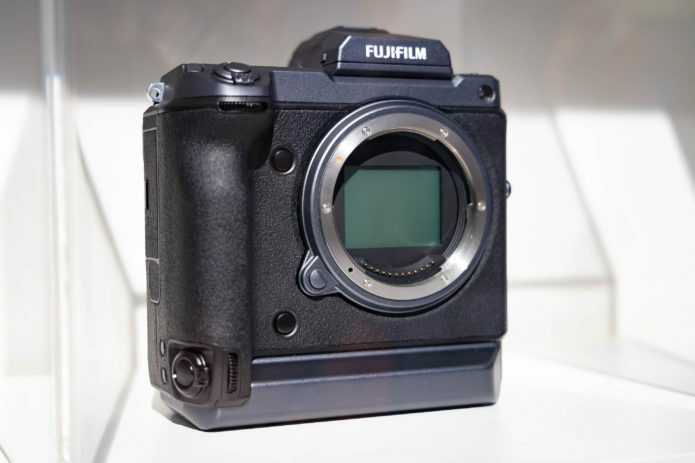 Sporting a 100MP BSI CMOS sensor and built-in image stabilization, the GFX 100 represents a significant evolution of the GFX 50S, which debuted the basic body shape and control philosophy of Fujifilm’s current medium-format lineup. We’re at the Gulf Photo Plus event in Dubai, where Fujifilm gave us a sneak peek at the first working prototype of the upcoming camera, to see for ourselves how it’s shaping up. Click through for a closer look.